Let me introduce myself... I’m Michelle Padula! 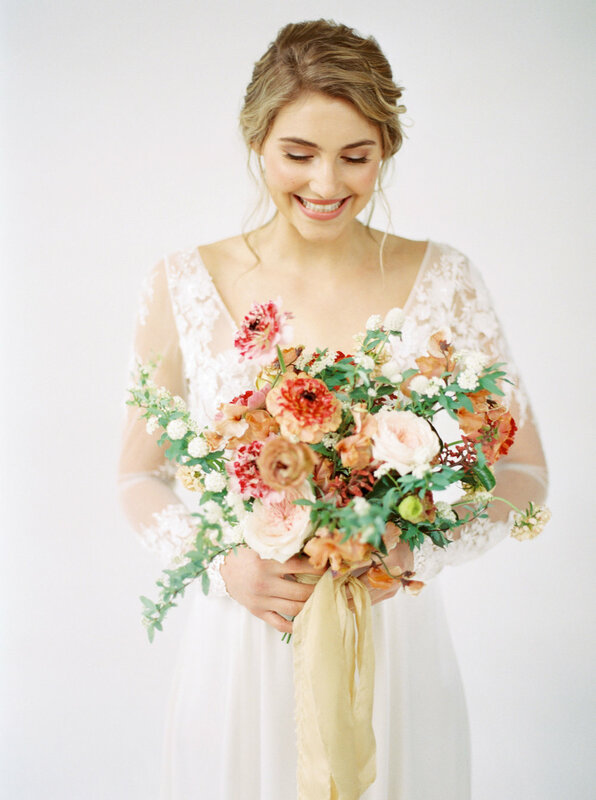 My business, Snowberry Studio, has provided whimsical, beautiful floral designs custom to fit each client personality for over 250+ weddings in the last 5 years. My design style speaks to couples who love vintage finds, appreciate whimsy, and want to create a dramatic floral impact on their special day. Weddings are a lot of work to plan, requiring your time and decision making. 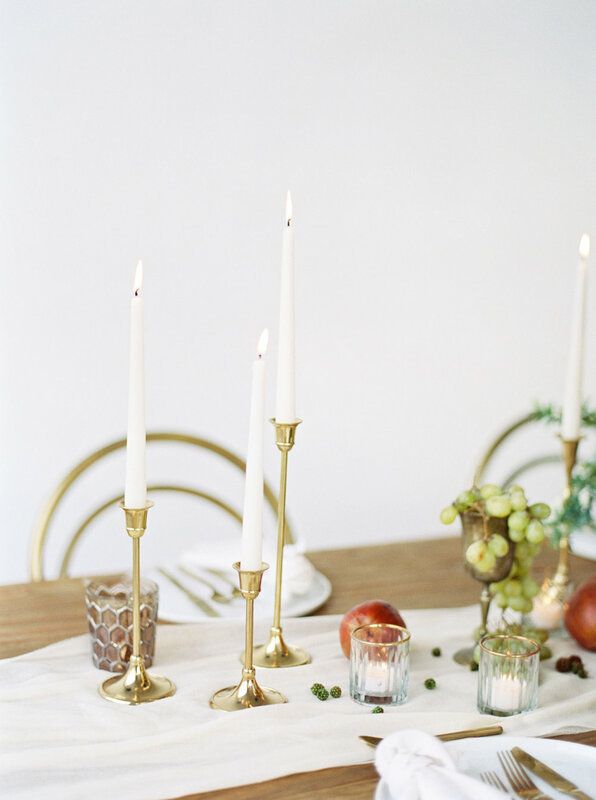 Planning my own wedding in 2016 from a distance, I can fully understand what you are facing. Florals might be something you haven’t put much thought into. Or maybe you have but just aren’t quite familiar with the process. I am here to help! I can’t tell you how much I appreciate you coming over to my site and placing your trust in my hands. I have never written a review... ever... but Snowberry Studio truly deserves this one! I can't thank Michelle enough for making our wedding so BEAUTIFUL! Not only is her work amazing, but I was blown away by how honest, professional, responsive, and kind she is. It felt more like I was planning my wedding with a friend rather than a vendor. She is so open and enthusiastic and you can tell she loves what she does. Because of her, I had complete confidence while planning my big day. She truly cared about my fiance and I, our interests, our opinions, our budget, and our vision, and she far exceeded our expectations! I am so very glad that I found Snowberry Studio, and would recommend them 100%! 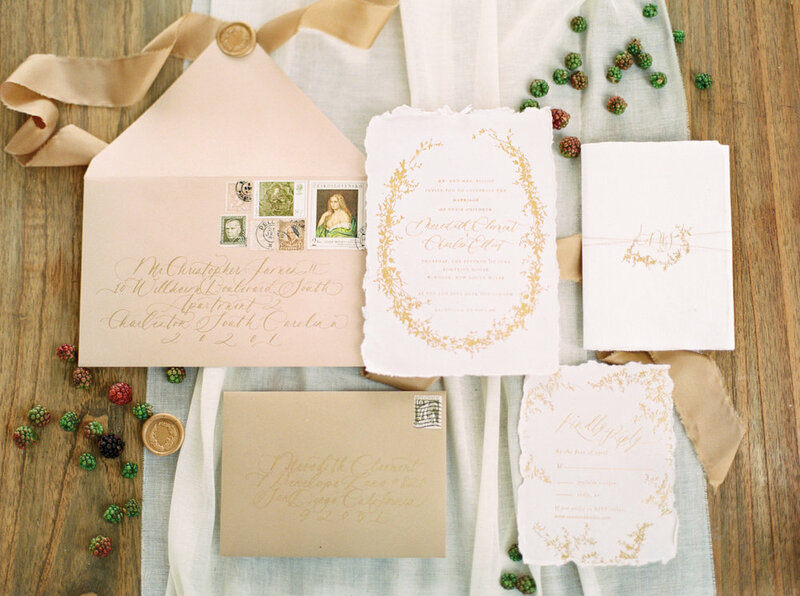 They made our wedding beautiful and they made the planning fun and exciting... In my opinion, that's what every bride hopes for! I cannot even put into words how much I loved working with Michelle from Snowberry Studio. She made the entire process extremely easy and dealt with my indecisiveness like a champ! Michelle's ideas were perfect, exactly what I was envisioning. She was extremely communicative throughout the entire process and was always very helpful. I am awestruck every time I walk past my arrangements at home or when I see pictures. Tears fill my eyes over and over again because my flowers were the most beautiful things I could have ever imagined for my wedding day. Every single touch was beyond perfect. So perfect that I cannot even think of powerful enough adjectives! Michelle is a beautiful florist and her artwork is even more beautiful. Every time I turned around on my wedding day, I saw another stunning arrangement. I 110% recommend Snowberry Studio for ANY event. You will absolutely be overjoyed and all of your expectations will be exceeded. Michelle is so delightful and amazing at flower arrangements. I had so many compliments on the flower arrangements and bouquets at my wedding. I will definitely use her again in the future and definitely recommend!! Snowberry Studio went beyond our expectations - everything was in place and absolutely perfect. My daughter and her, now, husband were in awe with all the flower arrangements, center pieces, long table arrangements, and flower pots on the belly bars. They were extremely pleased with their sweetheart table and cake table flowers. Again, Snowberry Studio did an exceptional job, were very professional, and did all this wonderful work with a smile. Thank you very much, Snowberry Studio. We will definitely recommend you to our family and friends. You were amazing!!! Snowberry Studio was a pleasure to work with. When the day came for my sister's wedding, all our expectations were beyond amazing! The flower arrangements were absolutely gorgeous! At every turn, the flower and greenery arrangements were so beautiful - just how my sister wanted. We were so happy to see how wonderful everything turned out. 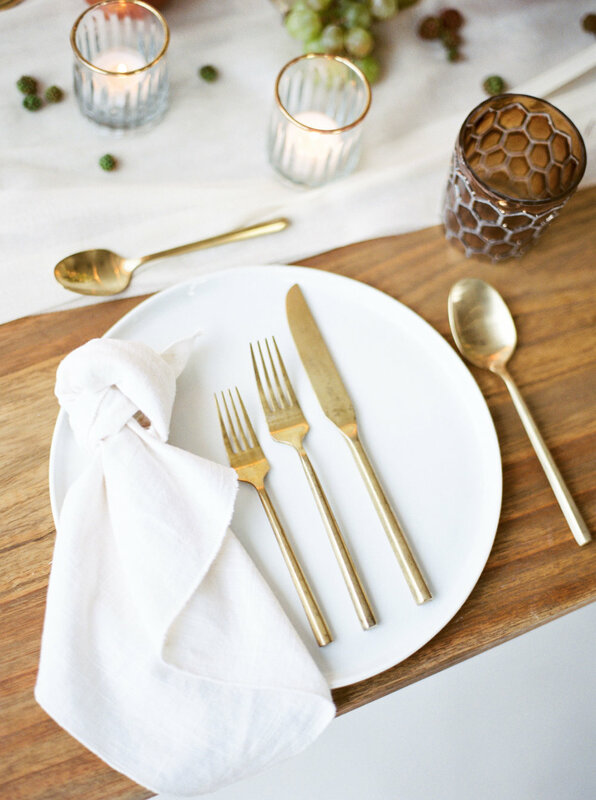 We would recommend Snowberry Studio to anyone planning a wedding/reception or any special occasion. I don’t even know where to begin. To say this florist went above and beyond is an extreme understatement. Michelle made the wedding of my dreams. From our arch for the ceremony to the memorial display. Every little detail was so beautiful and beyond my expectations. She was so patient with my overbearing/creative mother, she even helped incorporate a few DIY elements my mom had created. Our wedding was so visually beautiful all because of Michelle. I will recommend her to every new bride I know and even those I don’t I don’t know. I promise you will not be disappointed with this florist. She is absolutely amazing and her skills are beyond anything I’ve ever seen...and I’ve been to my fair share of weddings. Michelle, thank you for everything. You made my wedding so beautiful, I can’t tell you how many compliments we received about how amazing our centerpieces, bouquets, memorial display, ceremony arch, corsages, etc. I would recommend this florist a million times above anyone else!!! Thank you so much Michelle!!! Michelle created the most beautiful arrangements for my wedding, and she was an absolute pleasure to communicate with. I felt like I could just relax and let her do her thing! My jaw literally dropped when she walked in on the wedding day with the flowers for our arch. They were even more gorgeous than I had pictured in my head! She captured our style and colors EXACTLY, and the flowers were so fresh! Seriously, look no further if you are searching for a job well done, and loads of compliments on your flowers! Michelle at Snowberry Studio was absolutely amazing. She was incredibly responsive from day one. 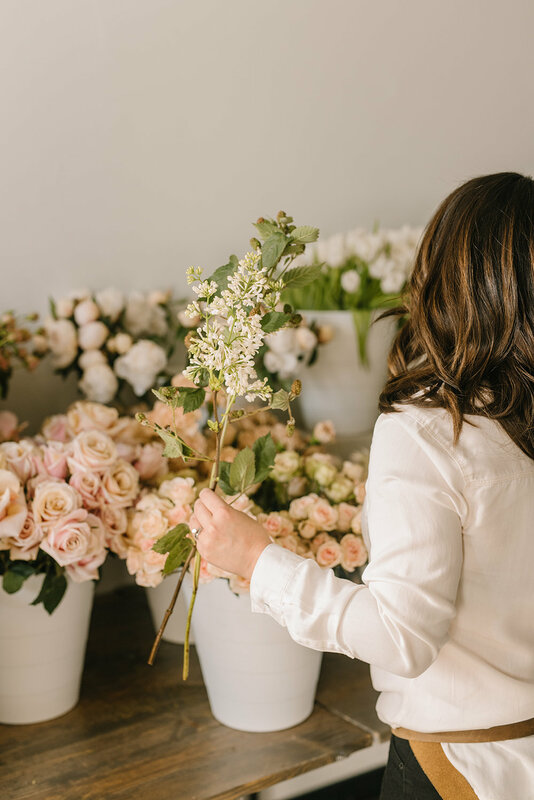 I was looking all around for florists for my wedding day, and once I met Michelle I knew she was who I wanted to help make my wedding day beautiful. I live in San Francisco and my wedding was in Escondido, which meant we communicated a ton through email. Michelle always responded and helped me with all of my questions. She executed the day exactly how I imagined and anything I didn't know I had her take the lead with her own vision. I highly recommend Snowberry Studio, she will make sure you are taken care of and instill full confidence that your special day will be perfect. Thank you Michelle from Blake and I!! We hope one day we can work together again! Michelle was absolutely outstanding. She was so friendly and excited for us and our upcoming big day. We weren’t sure exactly what to expect and she was so knowledgeable on all of the different options we had. She was extremely supportive and would provide suggestions to help piece everything together. She listened intently to exactly what we wanted for florals. She also linked us up to our own private Pinterest page where we could put inspiration photos to help her understand exactly what our theme was. She really brought our vision to life for our wedding. We planned a destination wedding and her communication with us was so quick and consistent. We had the freshest, most vibrant flowers. She created beautiful pieces of art and they were exactly what we had hoped for. She comes highly, highly recommended. My husband and I decided to do a destination wedding in La Jolla California. We live in Northern Virginia so I relied on Google, Wedding Wire and the Knot for recommendations on vendors. When I first came across Michelle's website, I really loved her work. 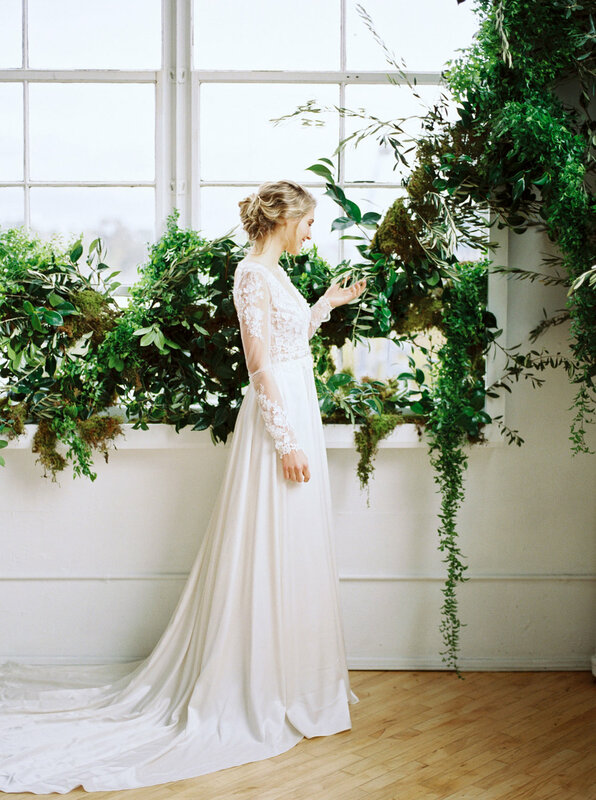 Then as I read her story about how Snowberry Studio came to be, I fell in love even more! Michelle was always so delightful to work with. She listened to my needs/wants and I can say with certainty that she delivered the day of my wedding! Michelle and I were in contact for about a year leading up to my wedding. I know I was difficult at times, reaching out to change my ideas but Michelle never showed signs of frustration when communicating with me. On the day of, Michelle came to the house where I was getting ready and when I finally met her in person, we gave each other a big, warm embrace!! I felt like I had a new friend. My bouquet was absolutely stunning and was even more beautiful than I had imagined it to be! When I arrived at the venue and saw all of the centerpieces set up, the flowers by the aisles, chuppah designed, etc, I honestly had tears in my eyes- everything was beyond beautiful and exceeded my expectations.... I would highly recommend Michelle and Snowberry Studio to anyone and everyone! Thank you Michelle, for being a part of my day and making it magical!!! You are amazing! Cannot say enough good things about Michelle and Snowberry Studio! She took my vision and ran with it and executed everything perfectly! I was so pleased with how everything turned out. Michelle was quick to respond to all of my questions and changes and was so willing to do whatever would make me happy. Her advice and input was very much appreciated throughout the planning process. I love her attention to detail and had so many compliments from our guests about how amazing the centerpieces were. So incredibly happy with the floral decor and can't wait to see all the beautiful pictures of everything she created! We loved Michelle! We did a destination wedding to San Diego and she was so easy to work with from afar. Her floral arrangements were gorgeous, and she even made special request items (like a dog wreath for our flower girl/dog hehe). All of the flowers were fresh and everyone complimented them! I'm pressing all of them to preserve because I can't bear to toss them haha! My husband and I got Married in March at the Rancho Bernardo Inn. She was the ONLY florist that we interviewed that actually met us at the resort. We wanted her to meet us there so we could show her what our venue looked like and what we had in mind for our special day. On our first meeting we loved her and her ideas. On the day of, she showed up early with the flowers and they were perfect! She even helped our wedding planner move the flowers from the ceremony to the reception. I had so many compliments on my flowers that day and even now when i show people our wedding pictures. Her flowers were amazing and the best decision we made for our wedding! I cannot say enough good things about Michelle from Snowberry Studio!!! I chose her after looking at the photos on her website and being impressed with how quickly she responded to my initial inquiry. I met with her over coffee and tried to explain the look I was going for. She had a nifty app on her phone that let me look at flowers by color and see if they were in season. I wanted a vintage look with blush flowers and gray-green succulents but I wasn't exactly sure it would work. I was worried that I didn't get across what I was envisioning and because I live out of state I couldn't meet with Michelle again before the wedding. I must have sent her dozens of emails with questions and ideas and she always responded right away. The day of the wedding I was really stressed that things weren't going to look how I wanted them to, but when I saw the ceremony and reception site I was blown away. It was like Michelle got into my head, saw my vision, and then improved it tenfold. To say it far exceeded my expectations would be an understatement. We got married on a grassy lawn at the Safari Park by the cheetahs, but Michelle turned it into a romantic, vintage, magical park. Between her kindness, professionalism, patience, and absolutely stunning work, I would absolutely recommend her for any event. I'm so happy we chose her! © 2019 Snowberry Studio. All Rights Reserved.